On Sunday 12th June, 5000 Brownies and Guides from across the Midlands headed to the West Midlands Safari Park for a day of fun and celebration. Braving the showery weather, the girls were able to enjoy a tour through the four mile safari park, which is home to lots of animals including lions, tigers, giraffes and a baby rhino. The girls were able to spend the rest of their day in the park which is home to an adventure theme park with lots of rides, as well as the Land of the Living Dinosaurs, sea lion shows, Penguin Cove and lost of other attractions. 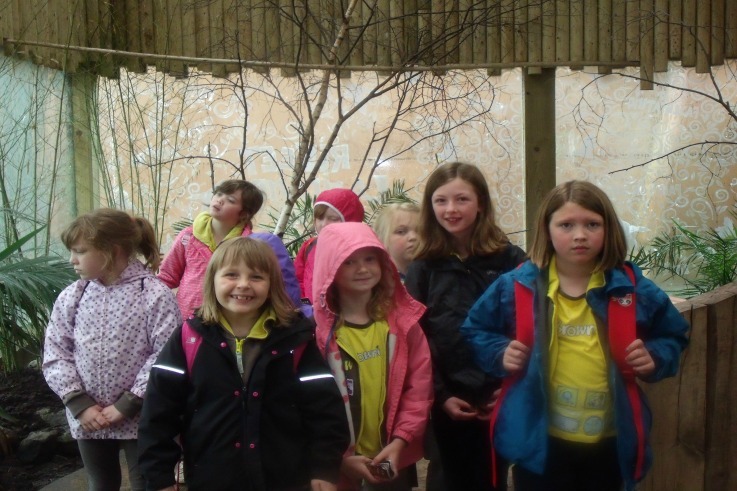 Pictured are a group of Brown Clee Brownies, who enjoyed their day despite the rain storms!